Mr. Sachin Deshmukh is the Managing Director of Onco-Life Cancer Centre and has been an active member since inception. He has completed his Post Graduation in Healthcare Management from Mumbai. He heads the HR and Marketing department. He also overlooks at the Non-Clinical Operations of the company. 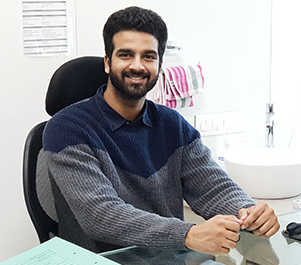 Mr Sachin Deshmukh being young and dynamic, he believes in Innovation and Integrating various latest technologies with the hospital systems for better patient and staff experience. He also plans, executes and manages various medical events, annual medical camps, social drives, etc.